Content creators have a wide presence on the internet with a wide variety of voices and opinions to share with the world. Podcasting has become a wave of interest for years and is again on the upswing. One of our guests from Collision 2018 shared his decade-long vision of how we should be able to interact with these podcasters on a more personal level with his application, PodPoster. 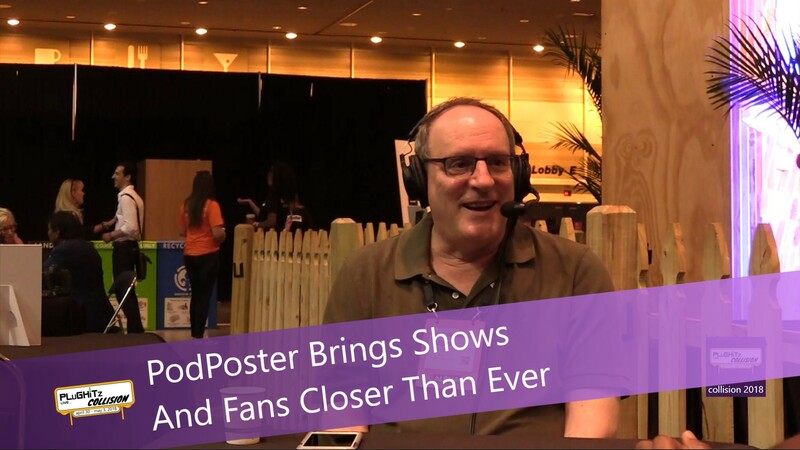 The founder of PodPoster, Allan Hoving had an epiphany when his friend decided to make a podcast on their own back in 2009. Allan promised them that he would listen and provide feedback to help improve his friend's content, but he wanted to be able to speak his opinions rather than type them out in the comment section. Allan then realized that there is not a medium for easy audio commenting. Online vocal feedback is not really an option anywhere else, so Allan set his mind to be the first. Allan found importance in providing feedback in the original medium that we were born with the ability to do. With the PodPoster iOS application, there are three simple options: listen, record, and send. You can listen to your favorite content creators and send them vocal feedback within the app. After hitting submit, the comments will be sent to the creator in the media that they choose to receive them. The comments you post can be moderated by the creator as well to ensure proper use of the app. Today, the application has expanded to the possibility of audio comments to video recordings. PodPoster allows your opinions and constructive criticism to be heard and understood, not just read and looked over. PodPoster is the missing feedback loop in this ecosystem and is continuing to grow and update their horizons to best fit the user's voice. For more information and contact information, you can visit the PodPoster website.